The benefits of yoga and meditation, specifically the practice of Kirtan Kriya, in aiding those with Alzheimer’s and dementia, and also in reducing stress for their caregivers are established. 12 minutes a day of Kirtan Kriya have been shown to improve blood flow in areas of the brain relating to memory, which could give hope for the possibility of slowing the progression of the disease. For caregivers, the practice of Kirtan Kriya led to reduced stress levels and greater cognitive functioning. 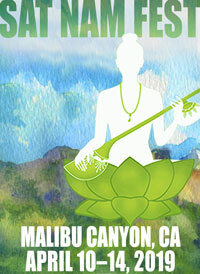 Now, UCLA researchers have published a study revealing why Kirtan Kriya reduces stress for caregivers. Caregivers are known to experience high stress levels, particularly as they age. Caregivers frequently report greater feelings of depression and stress, and reports indicate that physically they experience high levels of inflammation. Dr. Helen Lavretsky, senior author of the current study, points out that older caregivers have what she calls “impaired resilience” to stress, and this can lead greater instances of heart disease and mortality. The recent study sought to understand the biological ways in which the practice of Kirtan Kriya worked to reduce stress in caregivers of Alzheimer’s and dementia patients. Researchers hypothesized that the practice of meditation “might alter the activity of inflammatory and antiviral proteins that shape immune cell gene expression.” To study this hypothesis, researchers divided the participants into two groups. The first group practiced Kirtan Kriya 12 minutes per day, and the second group listened to a relaxation cd for 12 minutes per day. Blood samples were drawn at the beginning and end of the study. The results showed that there was indeed a reduction in the proteins that lead to inflammation. Dr. Lavretsky and other researchers found this encouraging. For many caregivers, taking care of their loved one with Alzheimer’s or dementia is challenging and time consuming. Many caregivers don’t have the time or social contacts available to allow them time to take care of themselves. But 12 minutes a day of Kirtan Kriya is something that many people can find the time for, particularly as researchers continue to study and prove the benefits of the practice. As the population of the United States continue to age, instances of Alzheimer’s and dementia will continue to rise. The need for caregivers will also increase, and without stress reduction techniques and social support these caregivers could experience health problems of their own due to the stress of caring for their loved ones. It is very encouraging to know that researchers are taking a serious and scientific look at the ancient practices of yoga and meditation, practices which are readily available to many people who can benefit from them. 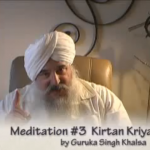 To learn how to do the Kirtan Kriya meditation, click here. I’m always interested in natural remedies or practices for reducing stress and inflammation. The duration of the study is relevant to many experiments as is many other variables , concerning the individuals in the study, not mentioned in the article. The ” Main Idea” of this article, for me, is the effect of an Alternative Approach on Stress Reduction and Biological Changes. I am optimistic regarding this type of research and found the information to be MEANINGFUL … regardless of the omitted details! Personally , I just try things out and see how I feel, that’s how ascertain whether or not something works for me. I will share this with my co-worker, who takes care of her mother who has Alzheimers. Paragraph 3 – Blood samples were drawn at the beginning and end of the study. How long did the study last? Years, months, one day? Without that information this article is meaningless.